File Types: OTF,TTF,All Files; File Size: 2.01 MB; Vector: Yes. Unique & vintage style display font for your new projects. Great for retro/vintage projects! - Download freebies with extended license here - http://deeezy.com/ For any help regarding this file, please feel free to contact me through my profile page and I'll be glad to offer support. 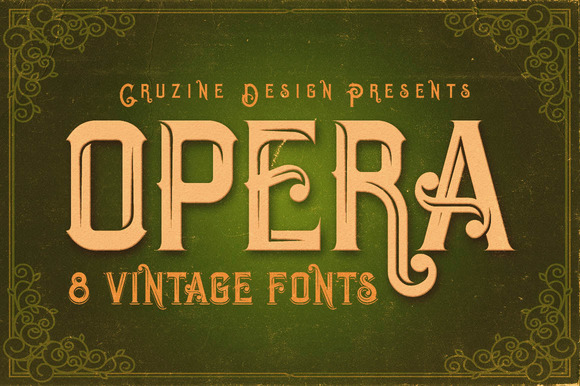 Keywords: typography, font, grunge, lettering, typeface, grunge font, unique font, creative font, retro, vintage, cool font, swash, ornaments, branding, identity, inline, shadow, vintage font, retro font, opera.